“Then Nebuchadnezzar went near the mouth of the burning fiery furnace and spoke, saying, “Shadrach, Meshach, and Abed-Nego, servants of the Most High God, come out, and come here.” Then Shadrach, Meshach, and Abed-Nego came from the midst of the fire…“Blessed be God…, who sent His Angel and delivered His servants who trusted in Him.” (Daniel 3:26, 28, NKJV). In an increasingly challenging world, it seems the news these days is full of stories of the rich and famous, unhappy with the success and wealth they’ve discovered, unable to obtain the security and sense of inner peace they so desperately need, taking their lives, in overwhelming hopelessness. Just last week, famed chef, Anthony Bourdain and the week before, fashion designer, Kate Spade. What, I wonder, could cause a person to be so devoid of happiness, that they would jump off into the unknown of eternity? In the passage above, King Nebuchadnezzar had passed a law that his statue was to be worshiped by everyone in the kingdom or be put to death. However, three Jewish young men, taken into captivity by the Babylonians and worshippers of the Most High, refused the order and faced certain death. So confident was their faith in God, they told the king that under no circumstances would they bow to the statue that their God would save them, but even if He didn’t, they would not bow. Furious, the King ordered the fiery furnace heated seven times hotter than usual and the three men to be thrown in to their deaths. But something amazing happened. As the King and his soldiers looked on, the men were walking around in the fire and even more astounding, there were not just three men, but four! The king’s own description was, “The form of the fourth is like the Son of God.” (Daniel 3:25, NKJV). There is a lesson here for us all. Through faith in Christ Jesus, we are never alone. We may often feel alone or experience loneliness, but if we put our trust in Him, “He has promised, I will never leave you or forsake you.” (Hebrews 13:5, NKJV). He has promised through the challenges of life, that we may call upon Him at any time; He will not only answer us, He knows exactly what to do in any situation we face. Do you ever feel as if you are being incinerated by life? We all do at times. I have learned in those situations, to stop, take a deep breath and get alone for just a little while – even a few moments and talk to the Lord. He is intimately aware of every detail of our lives and desires for us to know He is, “A very present help in trouble.” (Psalm 46:1, NKJV). Never forget, when life seems to be unbearable, Jesus will be with you in the fire. You don’t have to be burned up. You too can be like the three men that day; “…These men on whose bodies the fire had no power; the hair of their head was not singed nor were their garments affected, and the smell of fire was not on them.” (Daniel 3:27, NKJV). 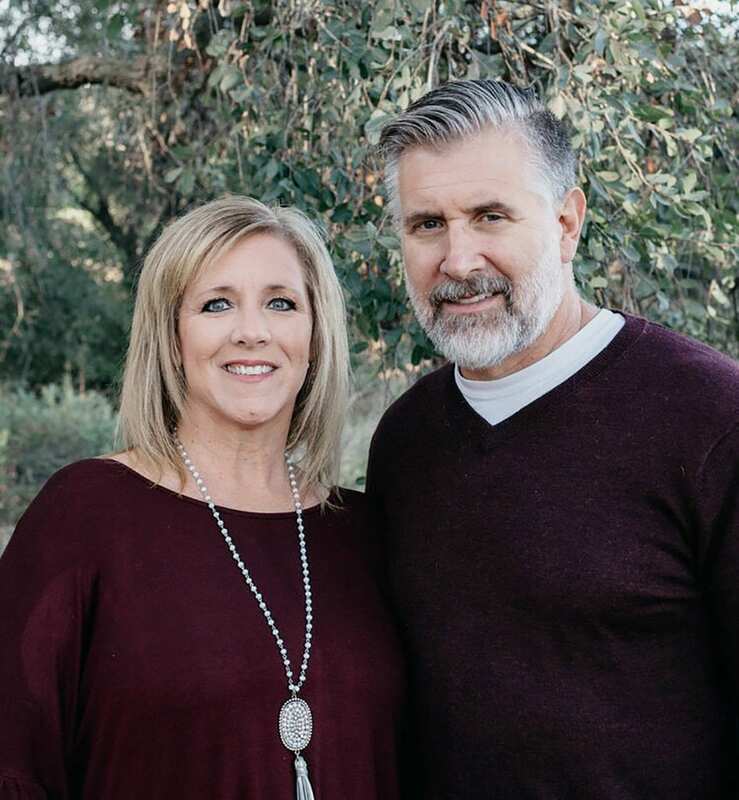 Rob Granger and his wife, Becky, serve as Executive Pastors of Grace Church San Marcos under Senior Pastors Brian and Melissa Bauer. Located at 855 E. Barham Drive, San Marcos, Grace San Marcos meets at 10 a.m. Sundays and 6:30 p.m. Wednesdays with meetings for youth, children and other groups scheduled throughout the week. Visit www.gracesanmarcos.net for further information. The views and opinions expressed in this article are those of the author and do not necessarily represent those of The Times-Advocate.